Congratulations to the following Havefordwest swimmers who have gained selection. 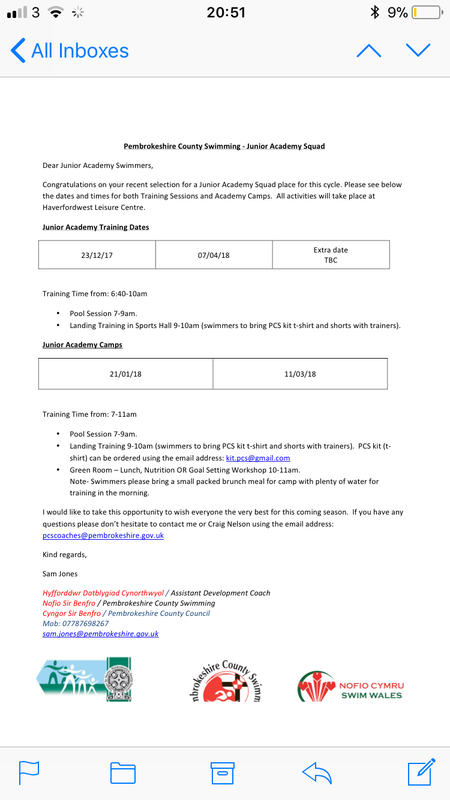 WELL DONE TO ALL OUR SWIMMERS WHO HAVE QUALIFIED TO SWIM WITH THE COUNTY SQUADS. HOPEFULLY MORE WILL JOIN YOU IN THE NEXT IN-TAKE.